Rook is the third book in a series (following Brock and Pike, neither of which I’ve read) featuring two brothers who occasionally find and rescue animals. That description makes it sound a bit Willard Price (incidentally, McGowan wrote four sequels to Price’s Adventure series; this intrigues me very much) but going by this book the animals form only a part of the several things that are going on in their lives. At the point when this book opens Kenny and Nicky’s family is doing better than has been the case in the past. Their father, recovering from alcoholism and dating a woman whom the boys like, is able to give his sons more attention than has sometimes been the case; Kenny is happy at school and has made an exciting new friend; money is very tight but things seem not to be completely desperate. Theirs is not, however, the first perspective we see. The opening chapter is told from the perspective of the titular rook, who is having quite a nice day until he’s savaged by a sparrowhawk. It’s an opening that I really like–we’re immediately thrown into this other perspective, and a voice which is both colloquial and lyrical but (crucially) not twee. It’s treated seriously enough that you’re not immediately hunting for meaning or allegory–though you could, having read the book, link the rook’s injury (implied to be a result of the flock’s bullying of a small male sparrowhawk) to that of Nicky’s bully Pete. The plot: Nicky and Kenny find the rook, in time to prevent their dog Tina from injuring it further. They take it home and look after it, but while Kenny seems convinced that it’ll be fine Nicky, who narrates the story, is more pessimistic about its chances for survival. Meanwhile, Nicky is being bullied at school, targeted both on the subject of Kenny’s learning disability and his mother (of whom I assume we hear more in one of the earlier books). Nicky also has a huge crush on Sarah, the popular and unattainable sister of his main bully, Pete. Things are taking their toll on Nicky and he lashes out at his brother and his father; he also retaliates and pushes Pete, at which point things go horribly wrong. Pete, who has epilepsy, has a seizure and Nicky is blamed and expelled from school. Rook is a beautiful object–the thick matte pages are lovely and tactile (this is a pragmatic decision to make the text more readable, but its aesthetic value is a really happy side-effect), and the cover picture and font remind me a little of the Penguin Modern Classics editions with the matte silver spines and backs. Publisher Barrington Stoke aims to provide books with age-appropriate content for children and teenagers with dyslexia or other barriers to reading, and in that context this very consciously grown-up cover makes a lot of sense. It signals its affinity to the sorts of books that get these sorts of covers, suggesting that while it may be easy to read, it’s not for very young readers. A slight detour but I promise I have a point of some sort: mere hours after I finished Rook I watched the Andrew Haigh film Lean on Pete, about a teenage boy who develops a bond with an aging racehorse doomed to be sold and slaughtered. Before the film I checked with various people whether I should brace myself for an upsetting film in which a beloved animal died–the consensus was that yes, I should; in stories like this the beloved animal always dies. In the circumstances, it’s unsurprising that Rook and Pete should be intertwined in my head. Both are interior stories about teenaged boys with complicated and loving relationships with their families; in both stories the potential death of an animal reflects a larger, awful reality. There are differences, of course; in tone Pete perhaps feels more like the cover of Rook than the book itself. I went into Lean on Pete bracing myself for the horse to die; Nicky goes into his own story with a similar conviction that the rook isn’t going to make it. Next to Nicky’s cynical resignation, Kenny’s belief looks naive. When Kenny tells his brother that their father has taken the rook to some people who can make him better, Nicky’s sure he knows what that means. He doesn’t–their father really has decided to spend some of the family’s scant funds on Rooky (rather to the puzzlement of the staff at this refuge for wild birds); Pete’s family have spoken to the school and have had Nicky reinstated; Kenny’s new friend may not be the real Doctor Who (though he might be) but he’s pretty amazing nonetheless; Sarah may or may not be interested in Nicky romantically, but the romance takes second place to his recognition that he’s gained a valuable friendship. 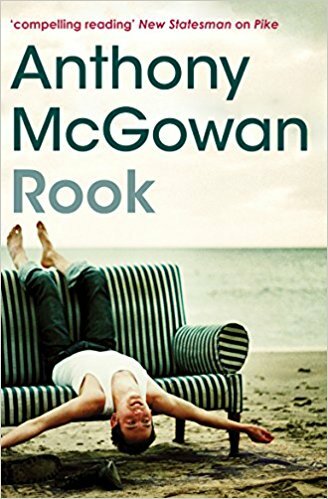 It’s possible that I’m arguing merely that Rook is a book in which some good things happen and that is nice–and honestly, that is reason enough to praise it. But I think there might be more than that. It’s not that the world is fundamentally better than Nicky thinks it is; we value these acts of kindness to friends and strangers precisely because they burst out like little miracles in a world that we, and he, know to be difficult. In stories like this the beloved animal always dies–but sometimes maybe it doesn’t.